The Poetic Research Bureau presents a Reading + Franck André Jamme in Conversation with Lisa Pearson. Sunday, October 21, doors open at 5. Reading & conversation at 5:30pm. It could be a cult classic: the debut edition of Siglio Press’s Tantra Song—one of the only books to survey the elusive tradition of abstract Tantric painting from Rajasthan, India—sold out in a swift six weeks. The works depict deities as geometric, vividly hued shapes and mark a clear departure from Tantric art’s better-known figurative styles. They also resonate uncannily with lineages of twentieth-century art—from the Bauhaus and Russian Constructivism to Minimalism—as well as with much painting today. Rarely have the ancient and the modern come together so fluidly. Franck André Jamme is one of France’s leading contemporary poets and the author of more than a dozen books. His publications in English (translated by John Ashbery, Charles Borkhuis, David Kelley, Norma Cole, and Michael Tweed) include New Exercises (Wave Books), Another Silent Attack, The Recitation of Forgetting, Extracts from the Life of a Beetle (Black Square Editions), and Moon Wood (Sélavy Press). Described by Henri Michaux as “a writer of rare quality,” Jamme has also collaborated with a number of artists including Phillippe Favier, Suzan Frecon, Acharya Vyakul, and Hans Schimansky, as well as translated the works of John Ashbery and Lokenath Bhattacharya. 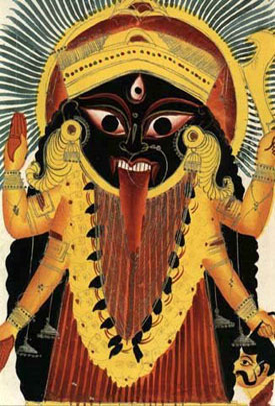 A specialist in art brut, Tantric and tribal arts of India, he has curated and contributed to exhibitions at The Drawing Center, Centre Georges Pompidou, Galerie du Jour, and Beaux-Arts de Paris, among others. Big thanks fir told me about the Music lessons For Adults sydney It really awesome school. I suggest the all youngest generation to visit here. The learning lab is providing the best Math Classes Sydney and English tutor in Sydney and if you are looking for maths tutor for your child contact us now! Congratulations activity and continued success for all.